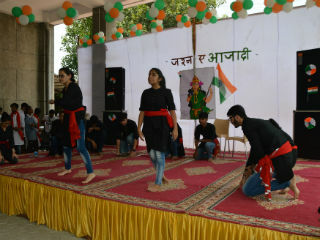 JIMS, Sector-5 Rohini celebrated 72nd Independence Day in college premises with great enthusiasm and patriotic fervor. 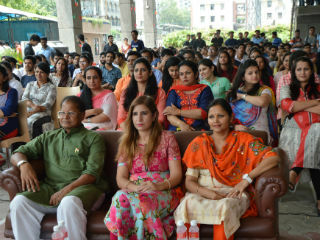 The event started with flag hoisting by Dr. J K Goyal and HOD’s and Deans from all departments. Further, the event included few words from Dr. J K Goyal where he enlightened the students with his thoughts. 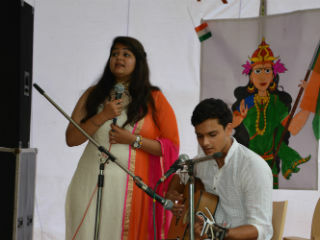 Then there was Nukkad Natak which presented the various issues in the Society related to the aged and the girl child. 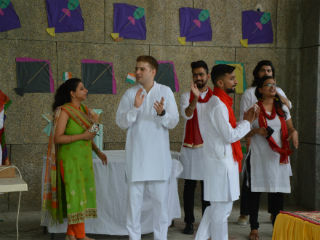 Also, everyone enjoyed singing and dancing on patriotic songs by the students. Moreover, students shared their Azadi views by writing on Azadi wall and also had selfie sessions with tri colored photo booth. The event concluded with the kite flying and some games like Bhagam Bhag, Chammach Maar, Jugalbandi arranged for the students.